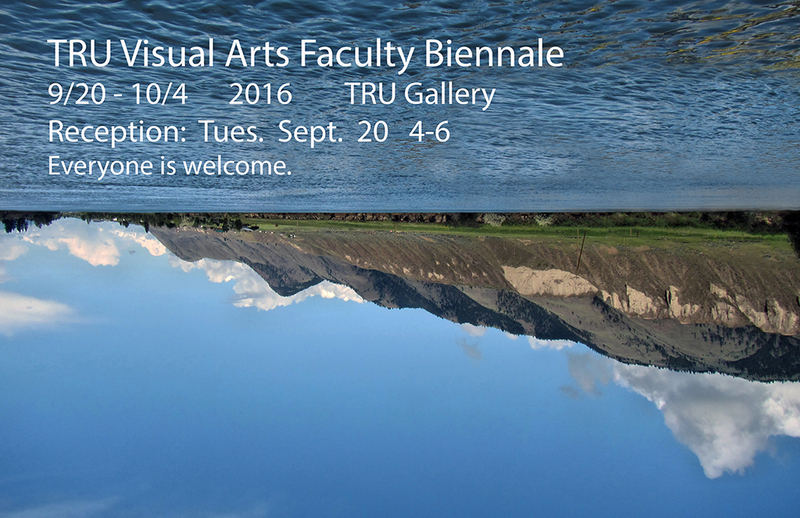 TRU VISA Faculty Biennale, in the TRU Gallery. September 20 to October 4, 2016. Reception: at 4 p.m., Tuesday September 20. Participating Artists: Terryl Atkins, Lloyd Bennett, Alan Brandoli, Lea Bucknell, Doug Buis, Ila Crawford, Twyla Exner, Ernie Kroeger, Darlene Kalynka, Don Lawrence, Eileen Leier.